To be meaningful and, even more importantly, useful, data needs context. 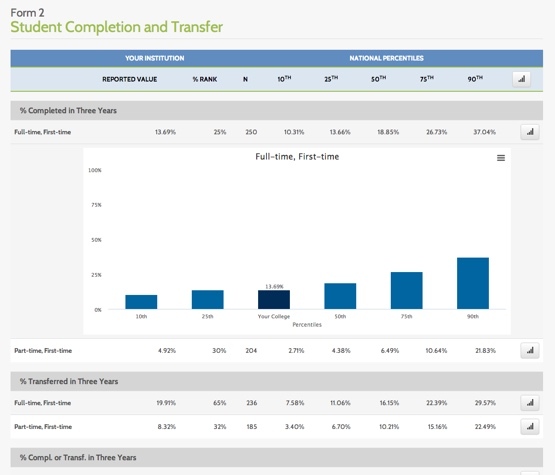 The National Community College Benchmark Project (NCCBP - credit & non-credit) provides community colleges with a proven and relevant yardstick to help them measure their progress and chart their direction. Choose from more than 150 nationally accepted credit benchmarks and 100 non-credit benchmarks, developed by community college researchers for institutional researchers, to measure and improve your outcomes. NCCBP’s 150+ credit benchmarks were developed by institutional researchers, for institutional researchers. And continuing education professional created nearly 100 non-credit benchmarks. Over the past 10 years, we’ve perfected those benchmarks to reflect the unique character and missions of America’s community colleges. 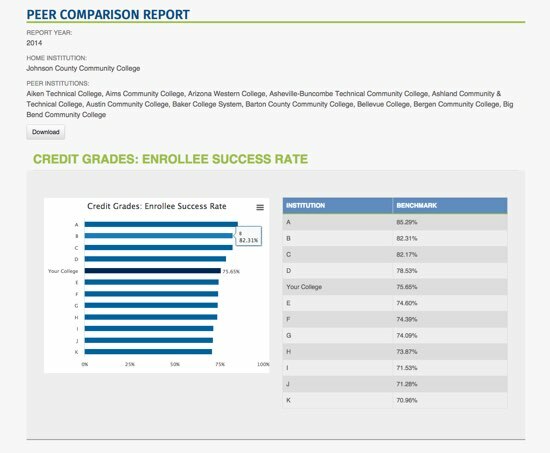 Researchers use the data to compare their community colleges’ performance against peer institutions, identify opportunities for improvement, and communicate their schools’ commitment to their students and academic mission. Each year at our annual benchmarking conference, community colleges share their best practices, showing how they use benchmarks, for example, to meet performance-based funding requirements, improve student persistence rates, and coordinate data across college systems.